The overall success of any fishing experience will eventually be determined by the strength of a knot. 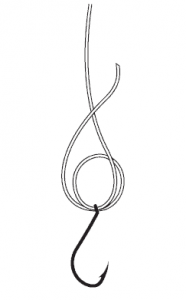 A securely tied knot is often the difference between catching a fish or losing it. 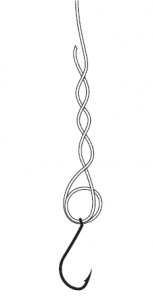 There are many different types of knots, however you can get by in most fishing situations by knowing the following few knots. Practise them until you can tie them without referring to the instructions! 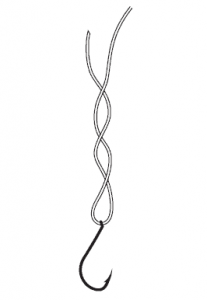 A simple yet strong knot that can be used to tie all connections to hooks, swivels etc. 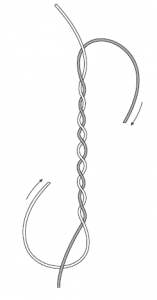 loop that has formed at the hook. and firmly on the main line. 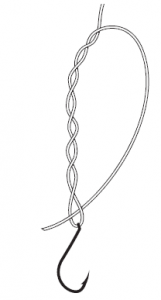 This is another very useful knot that is perhaps stronger than the first. 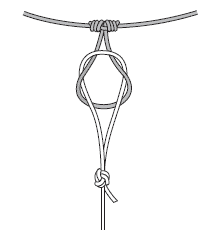 Again most connections can be made using this knot. main line four or five times. 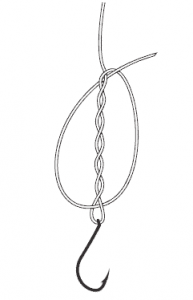 This knot can be used to make a loop in the mainline above a sinker. 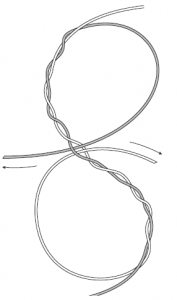 Using the same knot, a loop can then be made at the end of a short leader and attached to the loop in the mainline. then over the double line. 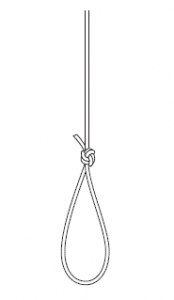 This knot is used to join two similar lines together. It is often used when the line on your reel is low and you need to add extra line on. 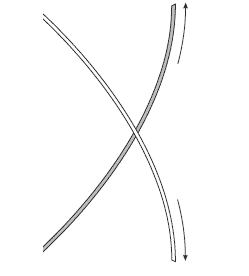 trim off the excess ends.